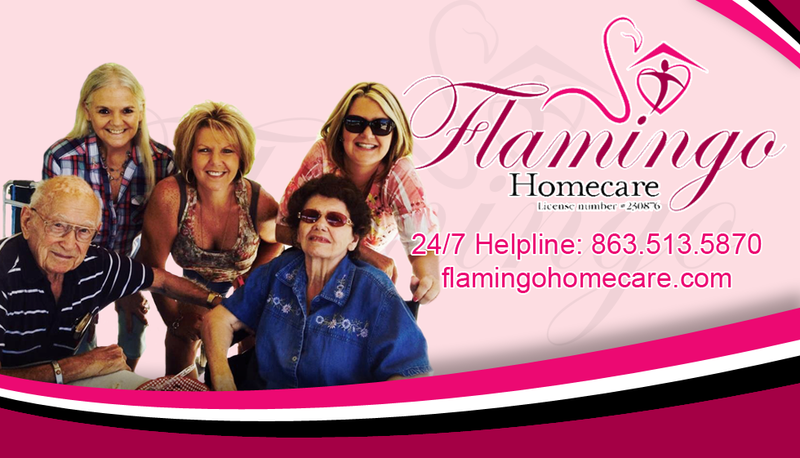 Simply phone Flamingo Homecare, (863) 513-5870 any time. Our phones are personally answered 24 hrs a day. We will arrange an appointment for an in-home consultation… at NO charge…where we can assess your situation, meet your loved one face-to-face and discuss your preferences and needs in detail. Flamingo Caregivers specific skills and experience are matched to client needs, interest, background, language, gender, health conditions, geographic location and personality. After we have established a date you wish to begin service, the tentative caregiver will phone to introduce themselves, and if you wish, drop by briefly for a meet and greet. You always have the option of changing caregivers, time schedules, or service arrangements.